Built between 1884 and 1885, the William Carson Mansion is one of the most popular stops in Old Town Eureka. 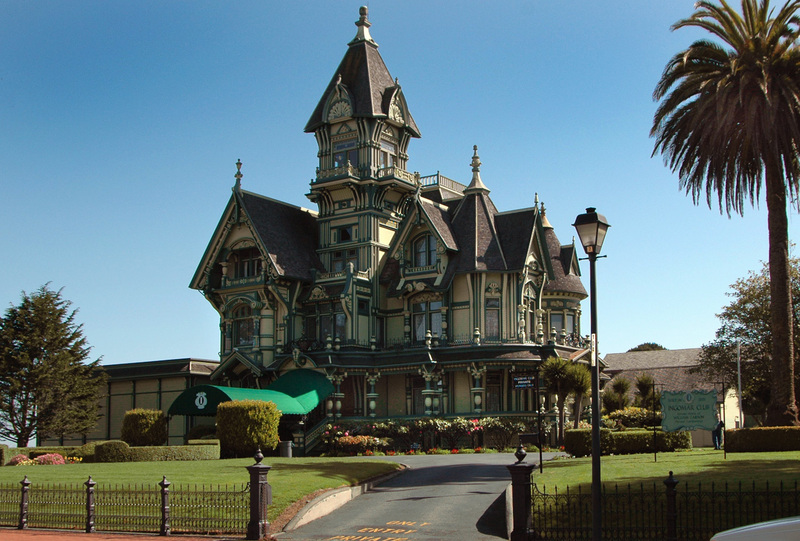 William Carson, who made his fortune in lumber milling, and his wife Sarah constructed the 18-room Victorian to suit their needs with local materials like redwood, blended with Primavera, stained glass, onyx and marble from around the world. Since 1950, the beautiful structure has been owned and operated by the Ingomar Club, a private restoration and preservation society. The Mansion is not open to the public. Tours of the Mansion are not given, but you can take a virtual tour online at http://www.ingomar.org/photos-mansion.html. Taking photos of the exterior is free. 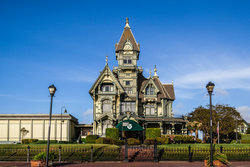 While the public is not allowed entry into the Carson Mansion, visitors are welcome to walk by and snap photos of the impressive exterior, free of charge. What is so unique about the Mansion? 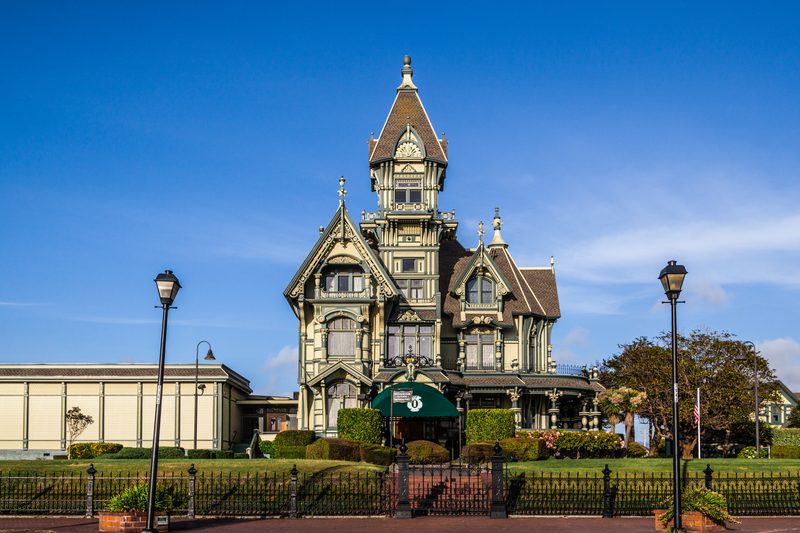 The Mansion was designed by the Newsom Brothers, famed San Francisco architects. 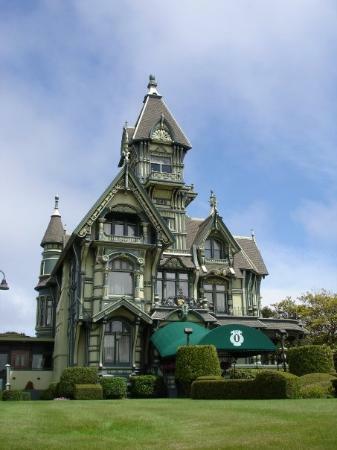 They used major features of the Victorian style, predominantly Queen Anne and Stick-Eastlake. There are also touches of Gothic architecture as well as French and Italian influences. 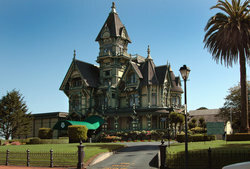 Its ornateness, wide porches, cupolas, gables, and turrets make the Carson Mansion a popular subject among photographers.